How to comparison shop for goods and services. Consumers often pay too much for the items they buy, trading economy for the ease of visiting a local store and "being sold" what they need. It's true that smaller, local stores often have more knowledgeable staff than mass merchandisers or online retailers, increasing the chances that a consumer will buy what they need and want. However, consumers who do their own initial legwork and research on a product or service can decide on their own what they need, and then comparison shop for the best deals. While comparison shopping is time consuming, consumers who do comparison shop can save hundreds of dollars on large ticket items. Indeed, the Consumer Literacy Consortium, a group that was formed to educate consumers, estimates that a household that consistently comparison shops can save up to $1,000 per year! See their 66 Ways to Save Money brochure for some good comparison shopping tips. Comparison shopping is the process of evaluating the specifications, quality, and pricing of similar products from different suppliers. Comparison shoppers may begin the process by window shopping online or at local retail stores; they often purchase a product after reviewing information from a variety of sources. These sources may include Internet product and pricing research, phone calls to check prices, and current magazines for product reviews and ratings. A recent study showed that today's consumers need potential savings of only 10 to 25 percent to encourage them to comparison shop among at least three vendors. Everyone needs to buy food on a regular basis and comparison shopping can help consumers save money. Many people comparison shop by going to different stores or checking out different sales flyers. 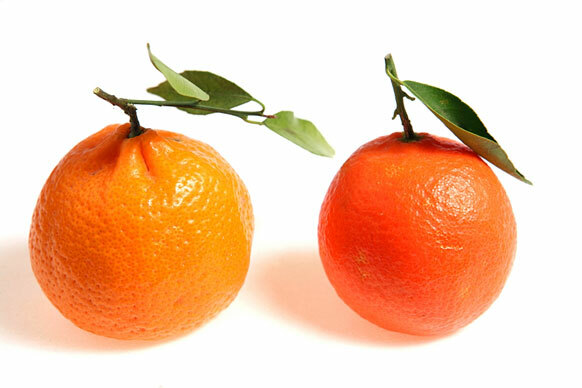 Grocery shoppers might compare the price of these mandarin oranges at several different stores before deciding to make a purchase. Today, shoppers can easily comparison shop online. Comparison shopping websites feature Internet product directories where consumers can search for items and compare prices from multiple vendors. Online shopping sites often charge different prices for the same item, so it is important to check prices and shipping costs from several online retailers before making an impulse purchase. Customer service and return policies vary from store to store, so it is also wise to consider these issues before buying a product that might need to be returned for credit or a refund. Finally, when all other factors are equal, you may wish to shop at a Better Business Bureau (BBB) Accredited business. Comparison shopping informs the consumer about where the best deals can be found, and most people comparison shop for certain items in order to save money. 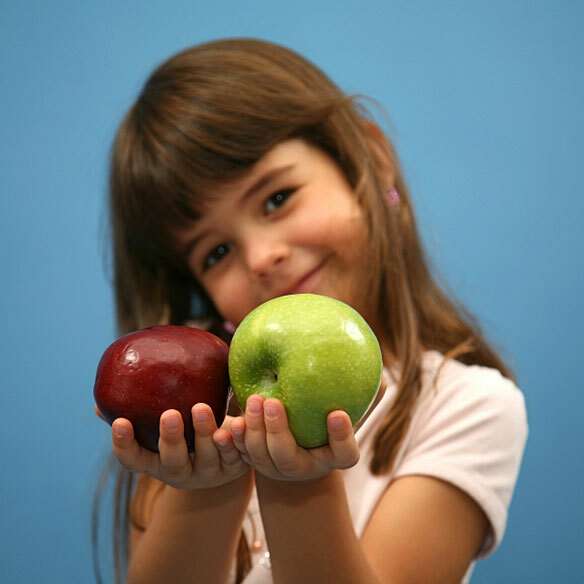 This photo shows a little girl holding out a red apple and a green apple. Comparison shopping for apples may give the consumer a good idea of a store's prices on other goods. Interestingly, many shopping websites feature the same product data because web merchants often distribute their products through a wide range of shopping sites. However, the best comparison shopping sites display their products like well-stocked stores, and even offer product descriptions, coupons, and shipping promotions, as well as generous return policies and user-submitted reviews. Recent innovations include local search capabilities for brick-and-mortar stores and price check support for wireless devices such as cell phones. Price comparison sites and shopping search engines are popular Internet destinations, but online shoppers can also benefit by reading consumer ratings and browsing manufacturer websites for product specifications, illustrations, and suggested retail prices. Consumers need not shop on the Internet in order to get discounts. One strategy is to comparison shop on the Internet to find price ranges, and then pick up the phone and call local retailers to compare their prices. Many sellers offer to match or beat other retailers' prices, and some will offer discounts to knowledgeable consumers upon request. Another strategy is to visit local retailers, smartphone in hand, and use an Amazon mobile shopping app. This shopping search engine strives to list a broad range of stores and products, with price, availability, and ratings information. A convenient resource for locating and comparing products, merchants, and prices online. This shopping directory contains thousands of hand-selected and categorized sites that offer quality resources for businesses and consumers. A factory outlet mall is an ideal place to comparison shop for apparel, shoes and accessories as well as small appliances and home decor products. Prices are discounted and you can often compare similar products at several stores. This informational site, created by the American Bar Association, will help you order safely when shopping online. You'll find that cyber-shopping is fast, convenient, and opens up a whole new world of merchandise for you and your family. This well-known subscription-based site features a wealth of information, comparisons, and reviews about many consumer product categories.